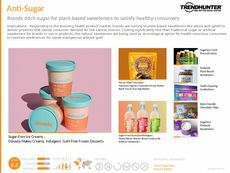 Find Better Ideas, Faster ® with a custom toothbrush trend report, our PRO Dashboard and 80+ categories of premium trend reports. The Toothbrush Trend Report uncovers exciting new developments from the world of oral hygiene. We curate an illuminating collection of the latest toothbrush innovations that are rethinking the daily routine of brushing your teeth. Featured in this report are numerous examples of the latest dental trends, including self-cleaning, eco-friendly and even musically-inspired toothbrushes. This report is key for understanding the layout of the modern toothbrush market. Dentists, hygienists, toothbrush designers and marketing professionals will all gain an enhanced understanding of the modern day marketplace while accessing the insight needed to begin innovating like never before. 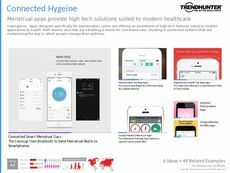 Take advantage of Trend Hunter's expert insights on oral health and hygiene with the Toothbrush Trend Report.